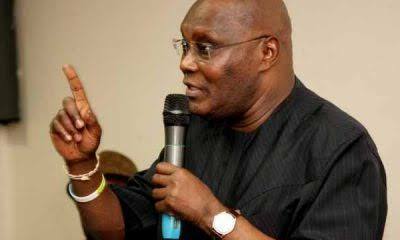 Former Vice President of Nigeria, Alhaji Atiku Abubakar, has vowed to probe President Muhammadu Buhari’s administration if he is elected Nigeria’s president in the 2019 general elections. He said the probe will focus on the war against Boko Haram, especially procurement of arms. Anhaji Abubakar said this while speaking on BBC Hausa Good Morning Program on Saturday. He decried President Muhammadu Buhari’s inability to control issues in the All Progressives Congress (APC) which, according to him, led to the present rift in the party. He said; “Eight years after, Nigerian government is still fighting Boko Haram that are not professionally trained. ”If elected Nigeria’s president, I will investigate how the government was unable to defeat Boko Haram for years, also I will investigate the procurement of arms bought by this administration. “After 2015 general election, I met the president. I told him the activities of the party have been crippled and there is a need for restructure. ”Also I advised the president on issues concerning his administration. I said to him, if things continued like this, I will quit, but Mr Buhari turned deaf ears and remained mum. “In this administration (Buhari’s), there are people that are untouchable, they are doing things that are not in order but they are being shielded by the government. If elected Nigeria’s president, my administration will not spare any personality”.